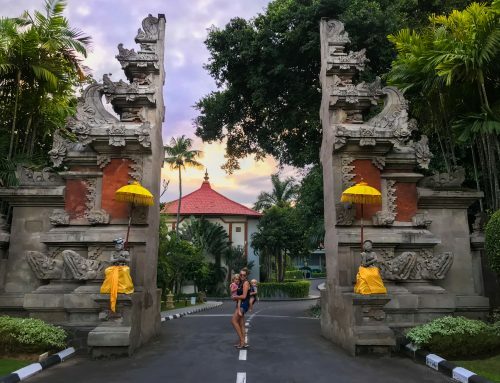 Anyone that’s been to Bali will know it can be incredibly busy in paradise. From intense road traffic jams, to the full beach at sunset, there are plenty of people around. 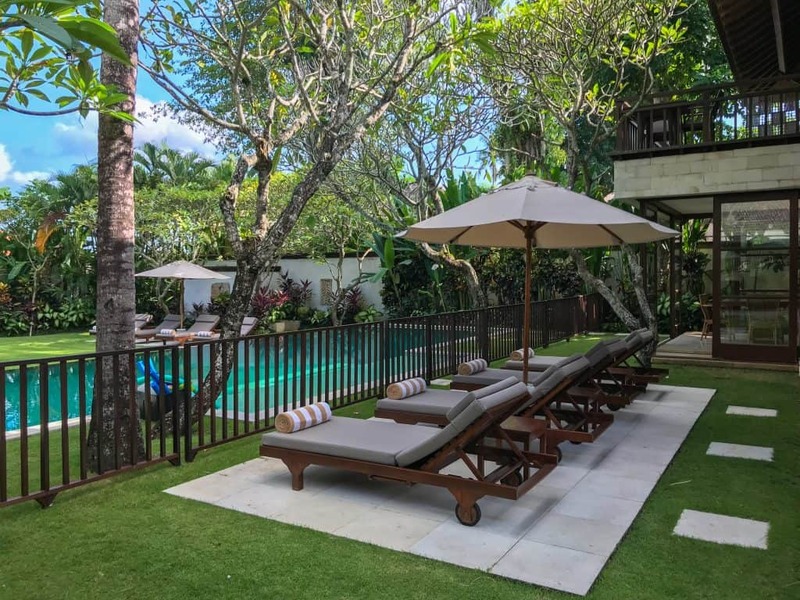 Bali is such a desirable place for many, but the ‘old Bali’ is harder to come by. 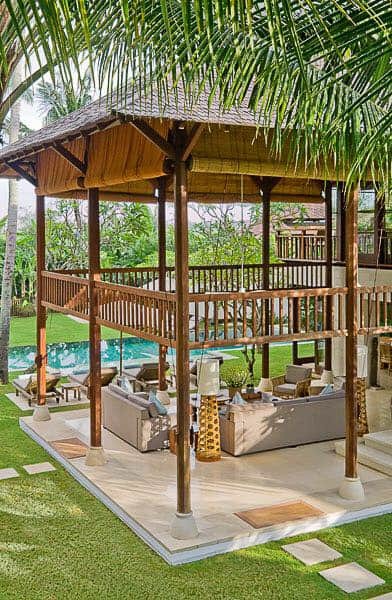 Who doesn’t want to experience the ultimate Bali hideaway? Rice paddie fields with farmers harvesting crop, undiscovered alleys with original warungs, and pristine beaches with no one else in sight. Canggu is one of the areas that has become most developed over the last twenty years. Once rice paddie’s next to the ocean, now a vibrant and hip town filled with bars, cafes, restaurants, boutique hotels, fancy villas and shops. Maybe one of the best kept secrets is Seseh! 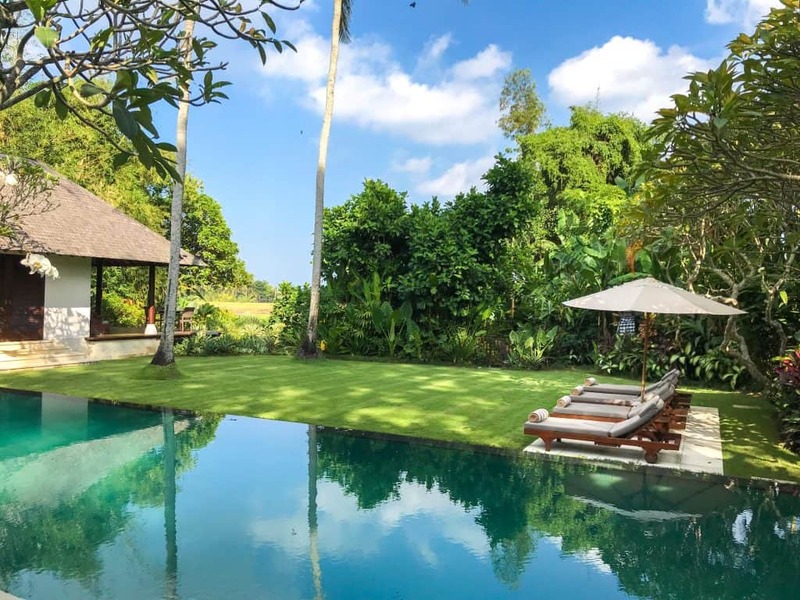 Just a short drive north of Canggu, the old Bali can be found. 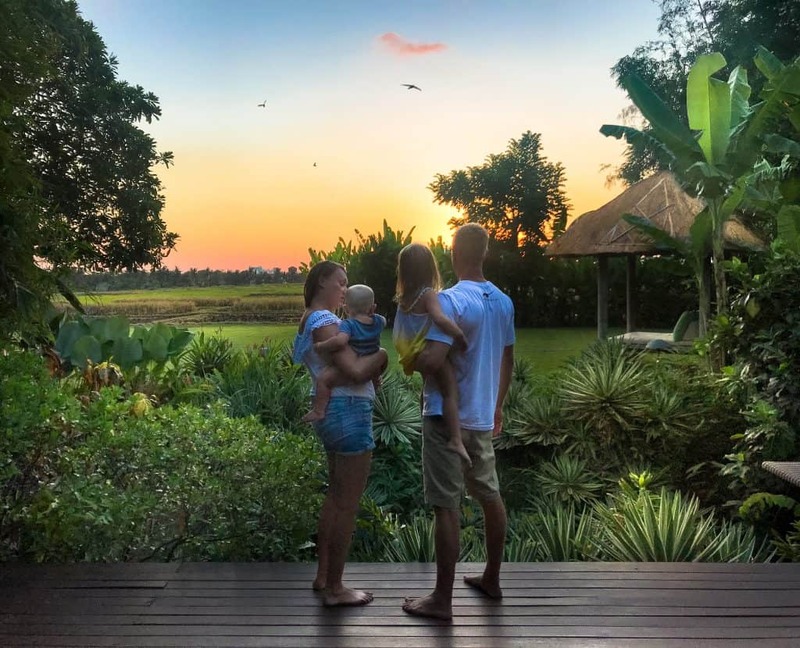 We have stayed in many villas around Bali and although they have been beautiful, they are all closed and more compact. Kemah Tinggi is spacious with several green spongy lawns for kids to play, a pool fit for the Olympics, a grand lounge and dining area. Not to mention the first floor TV room with views of the rice padis and ocean. Each room was like a villa in its own right. Four post beds, complete with dressing room and private outdoor bathroom, we felt it was perfect for one family. 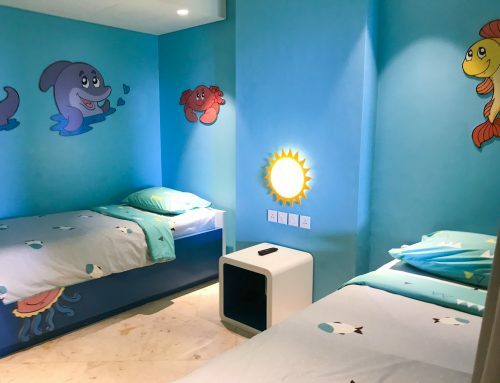 In reality, each room could have a family or couple. The price of Kemah Tinggi ranges from 700US on low season, to 900US in high season per night. Although this would be for someone with a higher budget than most, its perfect for those sharing, and certainly affordable for the service and luxury. Especially as all food and trips is at cost, il come onto that later. Kemah Tinggi is fully staffed. The stay includes a chauffeur, house maid and chef. Not to mention daily laundry, mineral water, tea, coffee and biscuits. Unlike nearly every other hotel and villa around the world, Kemah Tinggi is not listed on major websites making it all the more exclusive. Owner Penny wants to ensure guests always have access to her directly for an even more personalised service. She was always available if we had any questions and also checked in with us before arriving about our food preferences, what the kids like and so on. 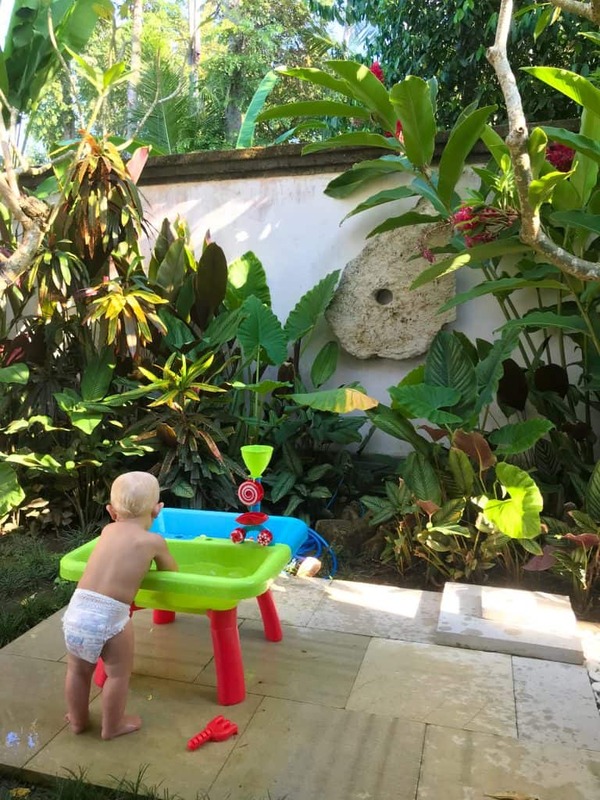 Unlike any of the tens of other villas we have stayed in around Bali, Kemah Tinggi had a fully integrated pool fence for kids safety. It took me a while to realise that it’s not always there because it’s designed to fit in with the rest of the architecture and design. It was so much easier being able to pop the kids on the lawn and not have to worry about them climbing into the pool. I wasn’t on high alert, meaning we as parents, relaxed that bit more. The kids loved the pool. We particularly loved the shallow parts for the little ones and the deeper part for the adults. Who said mum doesn’t like diving? They had so many pool toys at Kemah Tinggi. We had just as much fun as the kids with the selection. The torpedoes were so cool. Besides from the pool toys, both kids were spoilt with the choice of age specific toys. There was a huge box of entertainment for both. They also set up a water station. Our baby loved that part. They had the best time discovering and playing, and again as parents they weren’t constantly needing us. They were so quiet whilst we sat next to them relaxing. We know that Kemah Tinggi base their service on attending to each and every guest as an individual. So if you are 9 months old, or 99 years old, you will have a personalised service. We loved how attentive the staff were to our kids. They often sat and played with them, showing them how to use the toys. All of the four bedrooms were like villas in themselves. The four post beds with white drapes, big fluffy pillows and beautiful interior design was stunning. The wind blowing through moving the drapes from side to side gave the feel of utter luxury. Especially the master bedroom that faced the rice paddie. The outdoor lounge bed was the perfect place to watch the sunset. Like I mentioned before, it is really like the old Bali. There is no one else around accept the farmer in the field. Each bedroom had its own bathroom. Beautifully designed with tall plants, cleverly illuminated with hidden lights. The bath tubs were huge and the Molton Brown products were the perfect touch to a relaxing outdoor shower after a ‘busy’ day being pampered. When it comes to family, Kemah Tinggi really have thought of everything. We loved having the baby monitor so we could continue our evening in the lounge once the kids bedded down. They were all tucked up the cot complete with mosquito net. It’s so nice not having to worry about anything. They even had kids bathing products, changing mats and so on. At night the staff were amazing. 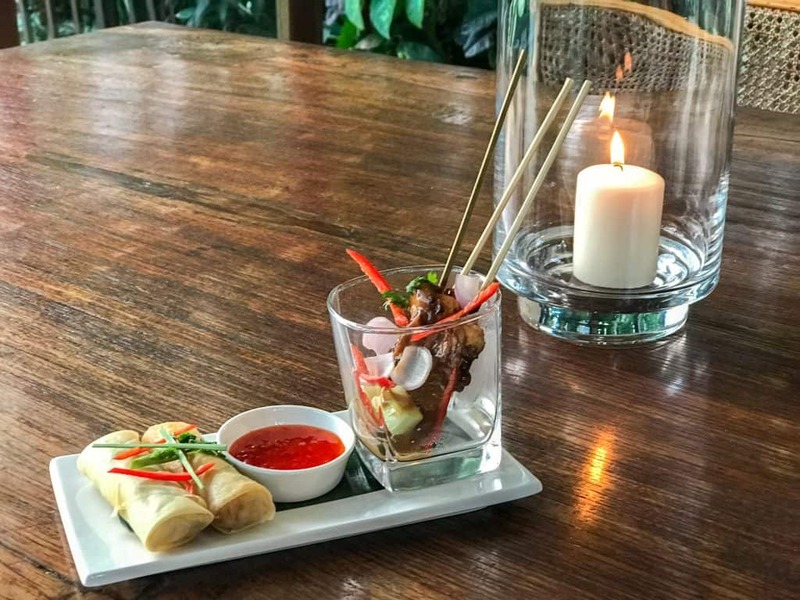 We hardly noticed them moving around the villa doing things like turn down service, maintaining the manicured gardens and my personal favourite was the candles. In the evening when we went for a shower before dinner, the entire villa had beautiful candles housed in glass boxes glowing. The lights were dimmed and the tables was set for dinner. They always managed to do things without us noticing. We have only been at one other villa where we had our own personal chef. However, everything was charged per meal at restaurant prices. Kemah Tinggi can make pretty much anything at only the cost of the groceries. They have an extensive menu for both adults and kids to choose from! We were absolutely blown away by the quality of the cooking and the choice. Take baby for example, there were many finger foods, not to mention puréed meals to choose from. Likewise our daughter had a great selection. It really was 5 star dining experience for everyone, not just the adults. The grand long table could sit a large extended family and we constantly fantasised about bringing our loved ones back for a get together. 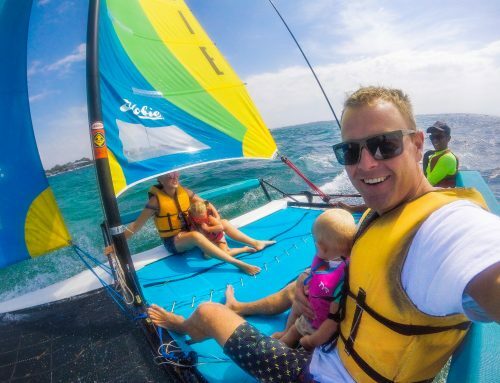 Everything was made for the time we specified making it really ideal with the kids. Anything past 530 or 6 and we are in dangerous territory when it comes to melt downs. The service at Kemah Tinggi ensured it was all very relaxed and at the perfect time. They had everything from bibs, to kids cutlery, crockery and place mats. They loved it! You might think being hidden away in a villa might result in a lack of experiencing the culture. 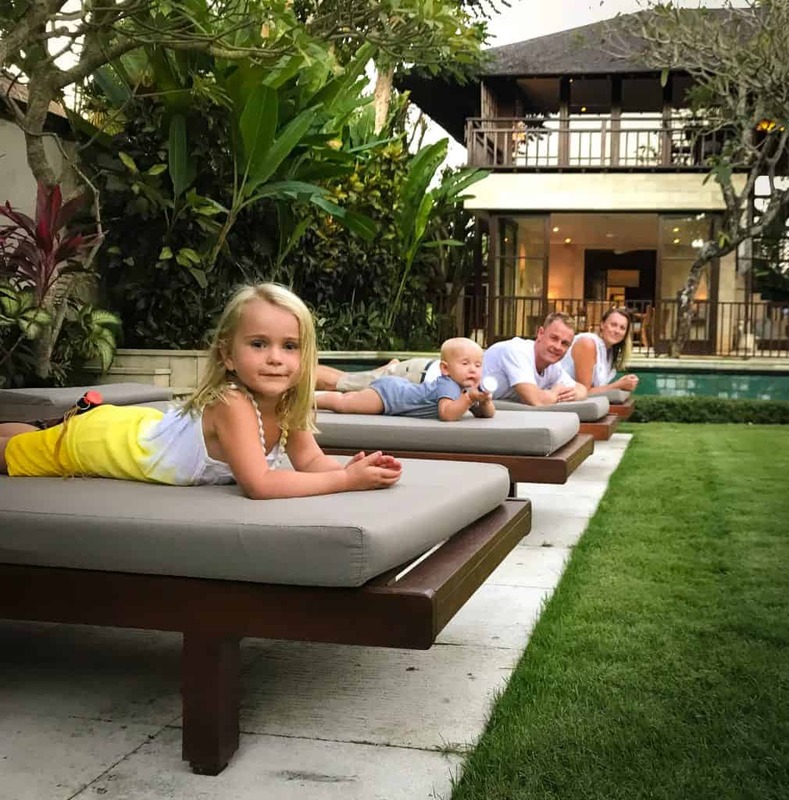 Whilst I would agree with to an extent, I have to say the design, the frangipani flowers on the lawn, the rice paddies, and of course the Balinese staff more than provided the experience. We often watched the staff walking around with their Balinese cultural offerings to the earth. Being in Kemah Tinggi was a truly special experience and something we will never forget. My parents don’t travel often. When I can persuade them to go somewhere next, I will definitely be taking them to Kemah Tinggi to truly blow their minds. 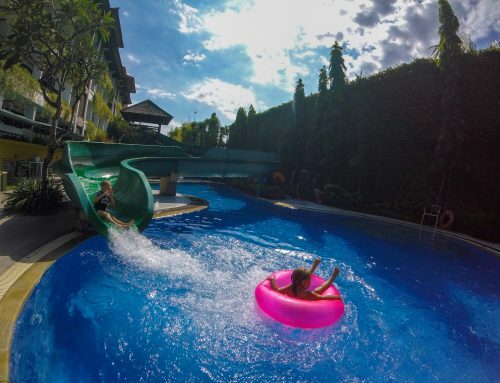 Have you found this review of Kemah Tinggi helpful? Leave a comment, we would love to hear from you. If we’ve helped you in some way, we would love if you could help us too. In this digital age there is a demand for immediate information online. Being a patron is a new-age way of giving a small token of appreciation for this information, which takes time to put together, with no financial return. We offer exclusive access to blog posts before they are published as a thank you. We also offer travel advice and consultancy at different payment tiers. You can sign up to our Patron program here. Just had a good read through your Bali posts! Looking at Bali next year for a month with friends and children. Thanks for the great info, always great to have a read and look through your adventures.